In January 1992, six regulations on Health and Safety at Work were introduced. Most of the requirements of these Regulations were not new, they simply spelled out in more detail what a responsible employer should already have been doing to comply with the requirements of the 1974 Health and Safety at Work Act. The Six Pack of Regulations is explained below. When you realise how long it takes you to simply READ whether you are compliant you can see the wisdom of bringing in an expert to check your compliance for you! The employer must assess all significant risks to their employees or to other persons. If there are more than 5 employees a record of the assessment must be kept. The assessment must also identify preventive or protective measures designed to control the risk. The employer must take particular account of risks to new and expectant mothers when assessing risks. If they cannot be protected from the risk by other means, they must be given paid leave for as long as necessary to protect the health of their child or themselves. The employer must assess particular risks for young people, taking into account their inexperience, lack of awareness of potential risks and immaturity. If children under minimum school leaving age are employed, the parents must be given details of the risk assessment and control measures. The employer must make arrangements for effective planning, organisation, control, maintaining and review of health and safety. Where necessary these arrangements should include health surveillance of workers. The employer must appoint as many competent persons as are necessary to ensure compliance with health and safety laws. Competent persons must be given sufficient information, training and resources to enable them to do their job. The employer must devise procedures to deal with situations of serious or imminent danger. As part of these emergency procedures, they must nominate competent persons to take charge if evacuation is necessary. They must make sure that access to any danger areas is restricted to those workers who have received appropriate training. They must allow workers to stop work and proceed to a place of safety when faced with a serious or imminent danger. Save for exceptional cases, they must prevent workers from returning to work until the danger is over. They must inform workers exposed to serious or imminent danger of the hazards involved and procedures to follow. Where two or more employers share a workplace or where employees of one employer visit another’s workplace in the course of their work, the employers must co-operate to ensure that their own staff and others are protected. Similar duties apply where an employer hires agency labour from an employment service. The employer must provide comprehensive and relevant training to all employees on health and safety. They must also provide information to workers on the risks involved, the preventive and protective measures, the emergency procedures and the identity of competent persons responsible for health and safety or for evacuation procedures. Ecological Planning & Research Limited has been using the services of Award H&S Limited since 2007. We are particularly impressed with their bespoke approach to our requirements, something which larger impersonal H&S Consultancies never seem to achieve. 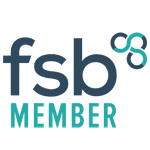 They are particularly good at listening to us and are genuinely interested in our business and ensuring that we meet, and comply with, our H&S requirements. Chris and his team are always contactable by phone or email should we need guidance, and make themselves available to meet up on site if we have issues that require their expertise. They always keep us up to speed with new legislation and ensure that we follow this through with our own internal policies, procedures, training and risk assessments. Our staff really enjoy Chris’ training workshops as he manages to deliver what is a serious subject in an interesting, interactive and enlightening manner. 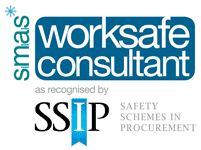 I would have no hesitation whatsoever in recommending Award H&S Limited to other companies and would be more than happy to discuss this with anybody who is considering using their services. The employer must avoid the need for workers to do any manual handling task which involves a risk of injury. When this cannot be done, the employer must assess the task taking into account the range of risk factors specified in the Regulations. The employer must reduce the risk involved to the lowest reasonably practicable level. The employer must provide workers with general indications of the risks and where possible specific information on the weight of each load and the heaviest side of a load with an off-centred centre of gravity. Employees must make full and proper use of systems of work provided by the employer. The employer must make a risk assessment of all workstations which might be used by DSE ‘users’ employed by them. The employer must reduce risks to the lowest reasonably practicable level. Daily work routine of ‘users’ must be planned so that DSE work is periodically interrupted by rest breaks or other types of work. If they wish it, ‘users’ are entitled to an eye and eyesight test paid for by their employer. The test must be repeated at regular intervals. If it shows that special spectacles or lenses are needed for DSE work, the employer must cover the cost of this as well. Maintenance – the workplace and equipment must be maintained in good condition. Where appropriate, there must be a planned system of regular maintenance. Ventilation – enclosed workplaces must be provided with fresh or purified air. A reasonable temperature must be maintained inside the building during working hours. Thermometers must be provided for staff to consult. Suitable and sufficient lighting must be provided. Natural light should be used where possible. Emergency lighting must also be provided where necessary. Cleanliness – the workplace and equipment must be kept clean. Waste should not be allowed to accumulate (except in suitable receptacles). Space – room dimensions should provide sufficient floor area, height and unoccupied space for the health safety and welfare of the staff. Workstations must be suitable for the workers who use them and the work which is done. Where work can be done sitting, suitable seating must be provided for each person doing that work. Floors should be suitable and not uneven, holed or slippery. They should be kept free from obstruction or contamination likely to cause slipping. Staircases should normally have a hand-rail. Windows, transparent or translucent doors or walls must be made of a safety material or protected against breakage and must be clearly marked. Opening windows must be safe to use. All windows and skylights must be designed to allow safe cleaning. Traffic routes – design must allow safe circulation of pedestrians and vehicles and traffic routes should be clearly indicated. Doors and gates must be suitably constructed. Devices should be fitted to keep sliding doors on their tracks; to prevent upward opening doors from falling back; to ensure safe operation of powered doors. Doors which can be pushed from either side should have panes to provide a clear view of the space around the door. Escalators and moving walkways shall be safe in use, and fitted with necessary safety devices, including emergency stop controls. Sanitary conveniences – suitable and sufficient toilets shall be provided at readily accessible places. They must be well ventilated and lit and kept clean. A schedule to the Regulations specifies how many are needed, depending on the number of workers. Washing facilities, including showers if needed, with hot and cold water, soap and hygienic means of drying must be provided. A supply of Drinking water must be provided for all workers at readily accessible places. Clothing – accommodation must be provided for storage of a person’s own clothing not worn at work; work clothing kept at the workplace; and for changing facilities. The employer must make sure that work equipment is suitable for the purpose intended, taking into account the nature of the work, working conditions and risks in their workplace. The employer must ensure that equipment is properly maintained. Where routine maintenance is needed a ’maintenance log’ should be kept. The employer must provide users of equipment and their supervisors with information, instruction and training on the correct use and on foreseeable abnormal situations which might occur when the equipment is being used. Where equipment carries a specific risk, use (and any maintenance, modification or repair) should be restricted to workers with specific training. The employer should take measures to prevent access to dangerous parts of machinery and to protect against the ejection of articles, substances, gases, liquids, dusts etc. ; overheating, fire or explosion, disintegration of parts of equipment, extreme hot or cold surfaces. The employer must ensure that all controls are safe to use and clearly identifiable. In particular, start and stop controls, including emergency stops, must be designed to ensure health and safety. Where appropriate, it must be possible to isolate machinery from its energy source. Where necessary equipment must be stabilised by clamping or other means. Adequate lighting must be provided to allow safe use. Where necessary, clearly visible markings or other warning devices must be fitted. Particular precautions are required to ensure that maintenance operations do not give rise to health and safety risks. 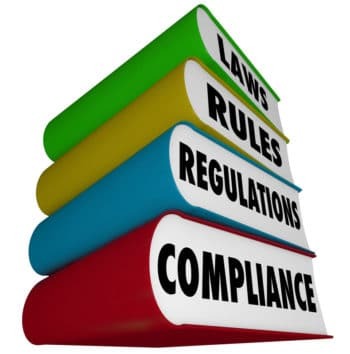 If a particular piece of equipment is covered by a European Community Directive the employer must ensure that it complies with the requirements of that Directive. Provision – the employer must provide suitable PPE when the risk cannot be controlled by other means. To be Suitable PPE must be appropriate to the risks involved and the work done. It must take account of ergonomic factors and the state of health of the user and must fit the user. It must comply with relevant European Community Directives where they apply. Compatibility – where more than one item of PPE has to be worn, they must be compatible and effective when worn together. Before buying any PPE the employer must do a risk Assessment to identify the risks which cannot be controlled by other means and to make sure that the PPE protects against those risks. Maintenance – the employer must ensure that PPE is maintained in good repair and cleaned or replaced as often as necessary. The employer must provide staff with information, instruction and Training on the risks the PPE is intended to avoid, the use of the PPE and steps the employees are expected to take to maintain the PPE. Use – the employer must take steps to ensure that PPE provided is properly used. Employees’ duties – employees must use PPE as directed and must report any loss or obvious defect to the employer. You need to comply with Health and Safety legislation. With a detailed knowledge of this complex field we can guide you every step of the way.